TORONTO - Enbridge Inc. (TSX:ENB) and a subsidiary of EDF Energies Nouvelles have teamed up to buy the Blackspring Ridge wind generation project near Lethbridge, Alta., on a 50-50 basis from Greengate Power Corp. The companies say Blackspring Ridge represents a $600-million investment in wind energy but financial details of the transactions weren't disclosed in Monday's announcement. When completed, it will have 166 turbines — making it the biggest wind power project in Western Canada, according to the companies. The project will be built by EDF EN Canada, with construction to begin this quarter and commissioning to begin in mid-2014. It's expected to employ up to 250 people at the peak of the construction phase. Electricity produced by the project — enough to power about 140,000 homes — will be sold into the Alberta power pool with pricing mostly fixed under contracts. The project will also generate renewable energy credits that have been contracted to Pacific Gas and Electric, a major U.S. power company. 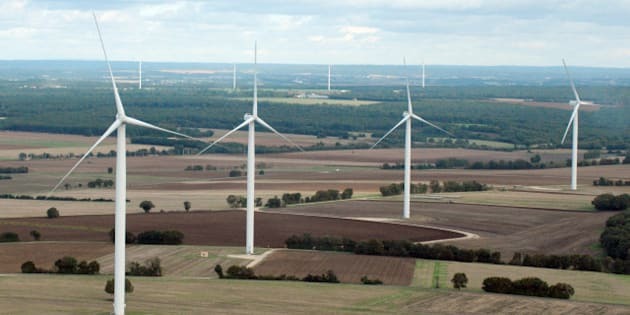 A Danish company, Vestas Wind Systems A/S, says it will provide the 166 wind generators as well as service and maintenance under a 20-year contract. "Blackspring Ridge is an important addition to Enbridge's fleet of renewable projects as it significantly expands our wind energy portfolio in the Alberta market, which we first entered nearly a decade ago with our Magrath and Chin Chute wind farms," said Don Thompson, Enbridge vice-president for green energy.